We pride ourselves in only carrying the best time tested brand names. Cortland has a long history of producing some of the best fishing lines in the history of fishing. Cortland has been producing fishing line for both salt and freshwater fishing for nearly 100 years. Whether you prefer saltwater or freshwater fishing in current or the deepest ledges of the ocean, we have a line for you at Hooksetter Supply. You will not see the lines made of silk or linen anymore. These lines have been replaced by PVC, nylon and even Dacron that make your fishing experience better than ever. The new advancements in line mean better cast ability, better stretching properties and less or more visibility depending on your line choice. What does all this mean? It means simply bigger and more fish caught. We have a line for almost every conceivable type of fishing. We specialize in lines for trolling, flyfishing, ice fishing and just your day to day sport fishing. 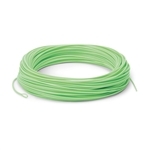 We stock the most popular lines like Blackspot, Dacron, Spectron and Masterbraid just for starters. Make sure you load your reels with one of our the great lines offered on our website and hit the water. Cortland master braid and blackspot fish lines are the choices of many anglers. The line is very workable and holds it color well.